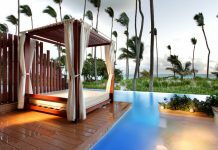 Iberostar Hacienda Dominicus is located on Bayahibe beach in La Romana, which is part of the lush, southeast coast of the Dominican Republic. There’s a spa and disco for adults, miniclub for kids, and three pools for everyone to enjoy. 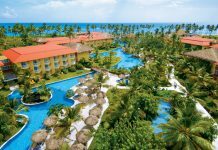 There are just over 500 rooms at the resort, ranging from standard rooms with garden or ocean views, to premium ocean front suites, which are for adults only and located near the beach. Spacious suites with family-friendly amenities are also available. 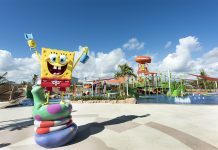 There are a variety of dining and drink options at the resort, including a buffet, four specialty restaurants, six bars, and a swim-up bar. Speciality restaurants feature Mexican and Japanese cuisine. There’s also a steakhouse and gourmet restaurant. Fly into La Romana International Airport, Dominican Republic (LRM). The resort is about 20 minutes from the airport. 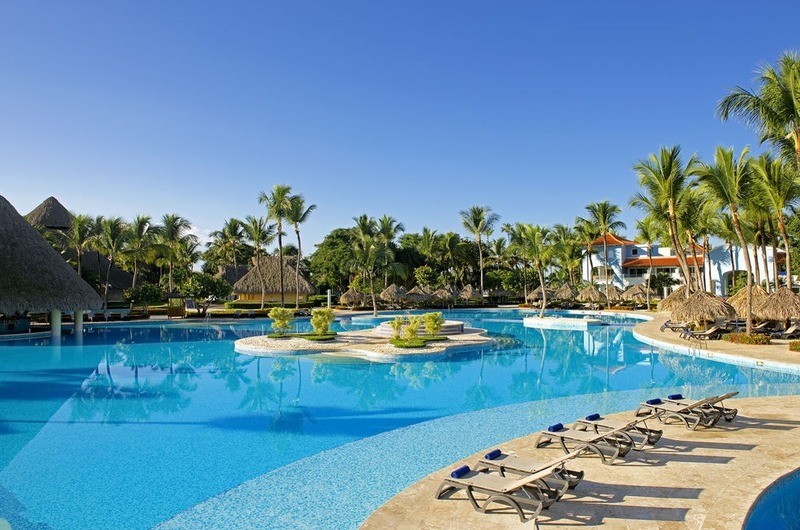 Visit Iberostar Hacienda Dominicus’s website for more information.